Purple flowers everywhere attract pollinating insects. Spring has slowly arrived. 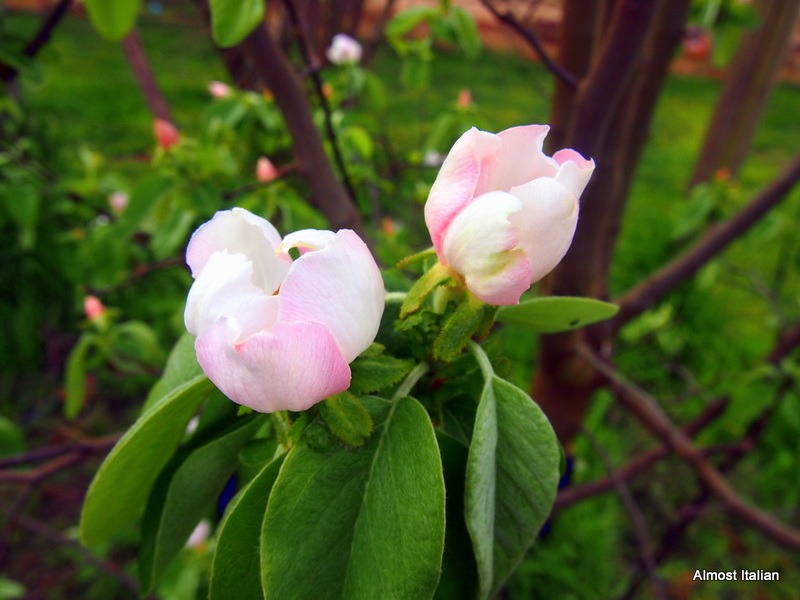 September was frosty and windy; only now the fruit trees are beginning to blossom. The ground has been too cold to plant seed, but with a few more hot days and some welcome rain, October will be a busy month. Although the plants won’t notice, an extra hour of light at the end of the day and not the beginning, will be most useful for this gardener. sow summer crops keeping rotation in mind. planting out the tomato seedlings raised by my son in his hothouse. enriching beds with compost and crumbled cow manure, then mulching. building shade cloth covered fences on the south and west sides to protect the garden in summer. remove dead wood from the strawberry patch and add compost then straw. Look for poly pipe to make a cloche for summer protection. 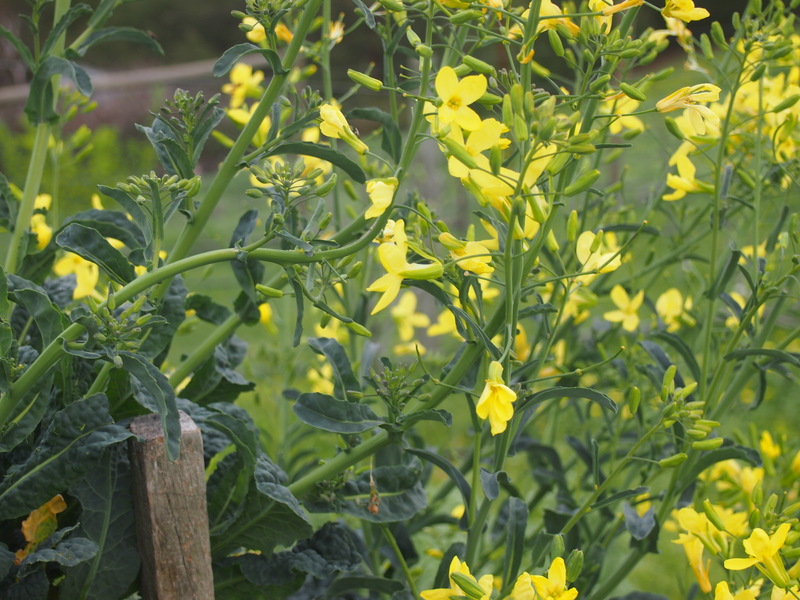 The most vigorous specimen of Cavolo Nero ( black kale) is now flowering for seed collecting, as well as attracting more bees. I have enjoyed tracking its life through these monthly garden posts. When the seed are harvested, probably in summer, I will have plenty to distribute so contact me if you need some. Cavolo nero going to seed. This bush has been going strong for more than a year. 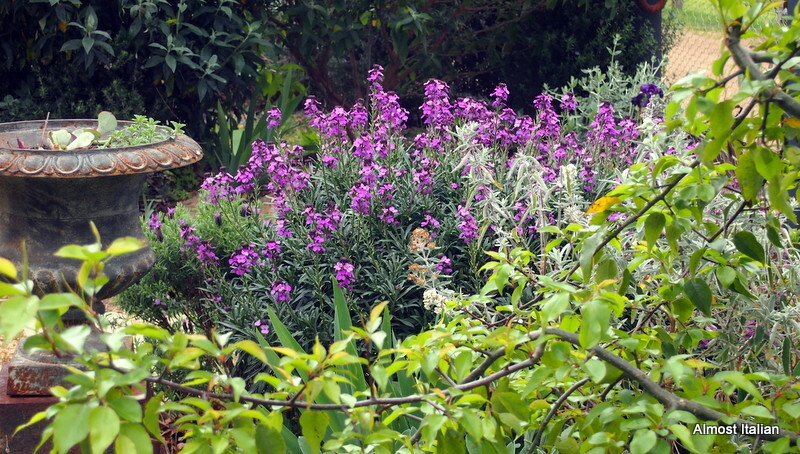 The overgrown sage bush is in flower, attracting more bees to the garden. When the flowering is finished, I’ll chop it back and make cuttings to pot up. Blue and purple flowers attract bees and other insects, necessary for pollinating summer flowering vegetables. I find that endive lettuce and raddicchio flowers are the best for this purpose. I have many out of date seed packets. 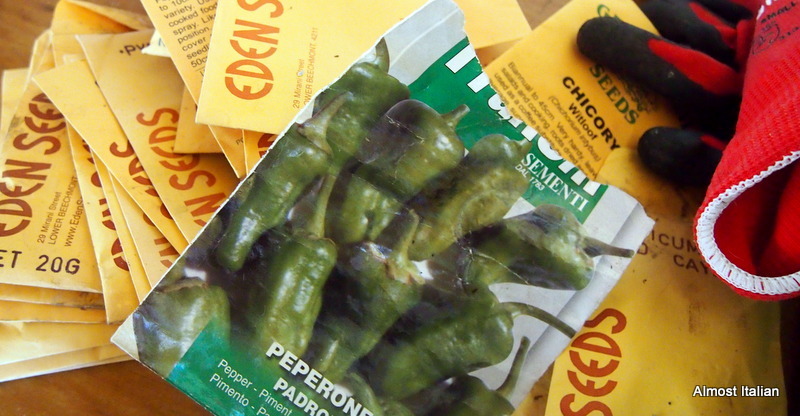 At the end of Last April, I used old seed to plant a random winter crop garden. I am still eating the produce from that sowing. These seeds will be thrown randomly into a compost rich bed this week. Surprise beds are fun. Harvest includes silverbeet, rugola selvatica, radicchio, beetroot, broad beans ( the early ones), broccoli side shoots, parsley and lettuce. 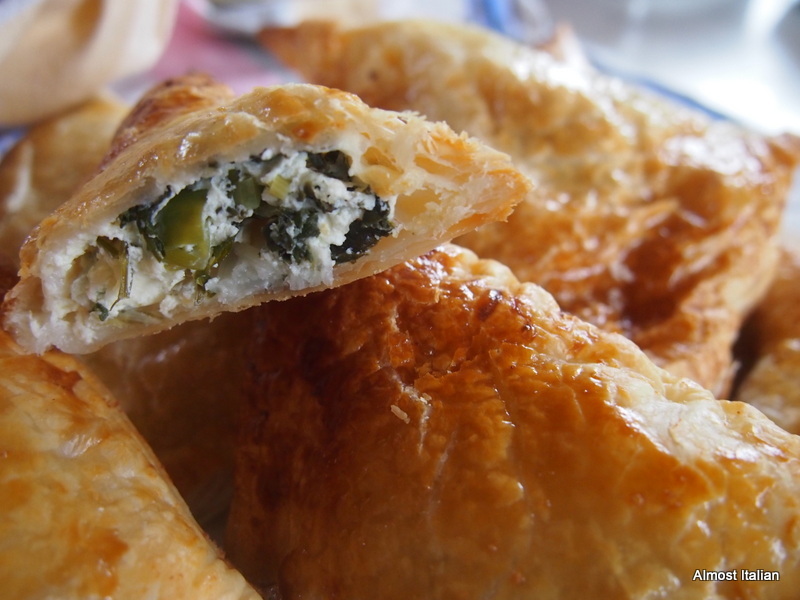 All these make lovely green feasts and are added to pastas, pies, salads and soups. This post forms part of the garden share collective, a monthly roundup of vegetable gardens around the world managed by Lizzie. It serves two purposes. It allows you to connect to other food growers around the world, but also forms a useful home garden diary where weather events, seasonal change and particular micro-climates are recorded. 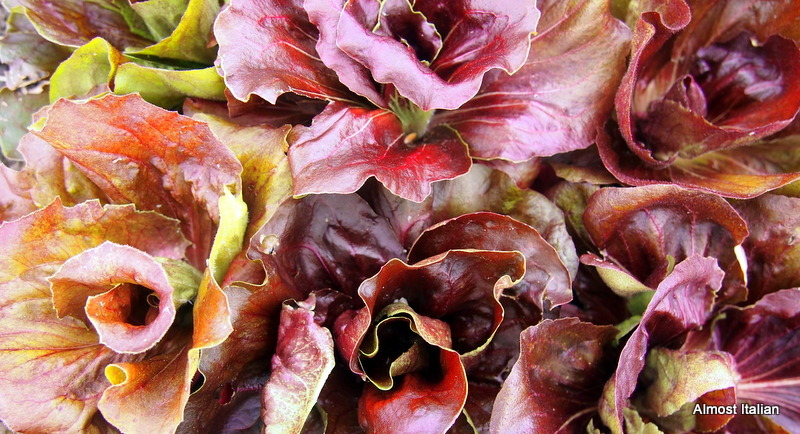 If you like growing food, check out the others at the collective. 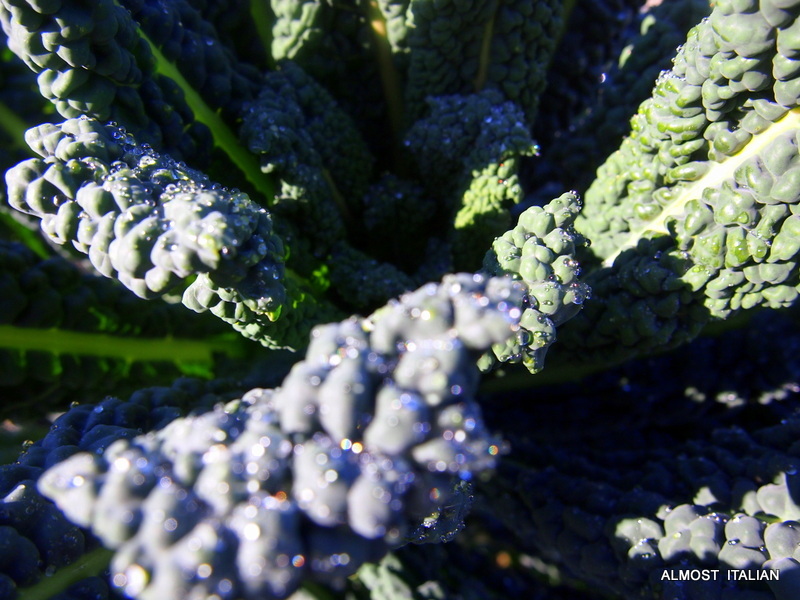 Cavolo Nero sounds so much better than Kale, don’t you think? It rolls off the tongue, has romantic connections with Tuscany, where it has been grown forever by the contadini, and it isn’t as trendy as Common Curly Kale with its Commercial Connotations. 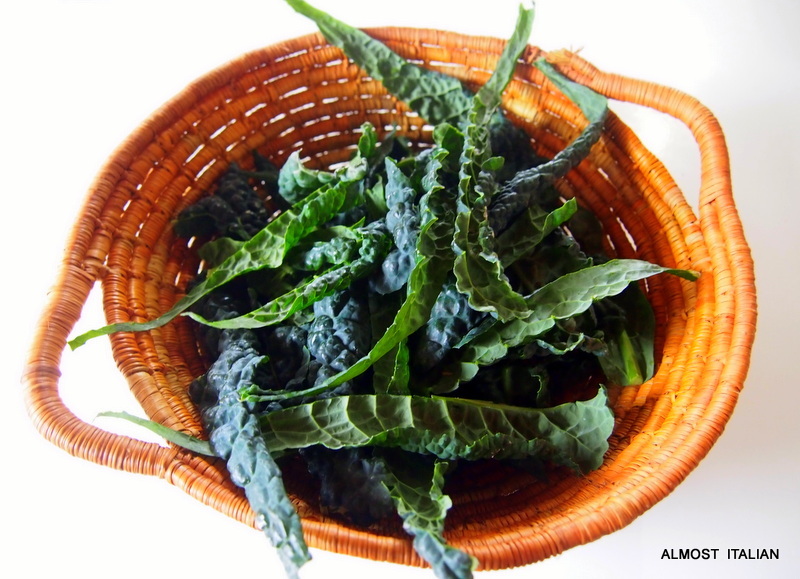 Cavolo Nero, Lacinato, Tuscan Kale, Tuscan Black cabbage, is the Principe d’inverno, the prince of winter. In winter it is the star of the vegetable garden: indeed it requires frost to reach its peak of princeliness. In summer, the leaves tend to toughen in the hot sun and even worse, it becomes prone to attack from white cabbage moths. In winter, it grows like a triffid, reaching for the sky, its only enemy being the white cockatoo, the Australian gangster parrot. They are easy to grow. If you don’t have a vegetable patch, consider growing a plant or two in your flower garden to provide height, leafy contrast and architectural drama as well as a source of nutritious green. 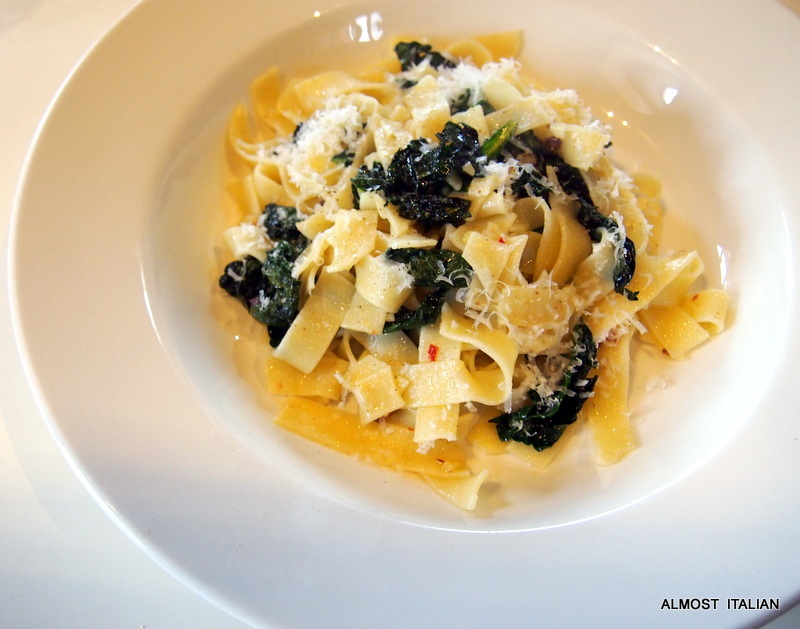 My favourite pasta dish is based on Cavolo Nero. It is a five minute wonder dish, requiring only a few pantry staples along with some freshly picked young cavolo nero leaves. Fettucine con Cavolo Nero ed Amici. Prep the ingredients as this is a speedy dish. Strip the leaves from the centre stalk of the cavolo nero. If large, chop them roughly. If small and delicate, leave them whole or tear them. Finely chop the garlic. Roughly chop the anchovies. Grate the cheese. Cook the pasta in ample salted water until al dente, as per packet instructions. Meanwhile, heat a large frying pan then add generous slug of oil. The oil makes up part of the sauce so don’t be parsimonious here. Add the anchovies, stir to melt them, then add the garlic and chilli, stir about briefly, then add the leaves and toss about. When the pasta is almost ready, scoop out around half a cup of cooking water. Drain the pasta. No need to drain it thoroughly; the starchy water adds to the sauce. 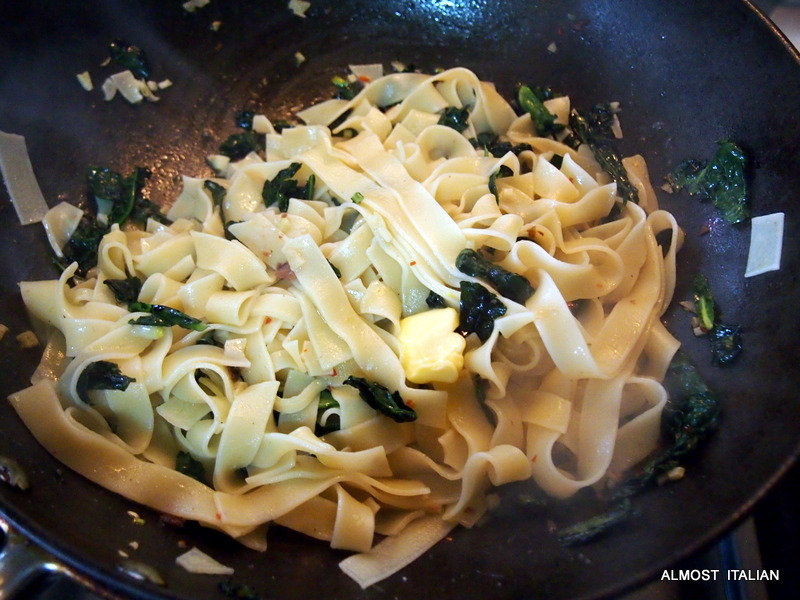 Add pasta to the pan, along with a little cooking water ( it will disappear into the sauce). Raise the heat to very high, stir about, then add the knob of butter* and a few grindings of pepper. The secret last ingredient, a knob of butter. Have a hot serving bowl ready, tip the contents into the bowl and serve. Also heat your pasta bowls. Pasta cools too quickly on cold plates. * About the knob of butter. I once ate a fabulous pasta dish at the famous Melbourne restaurant, Pelligrino’s. As the place was packed, I was seated on a stool out the back alongside the chef’s stove. The Italian Nonna tossed the pasta around with its sauce in a small aluminium pan at high heat, then added a knob of butter before re-tossing briefly. 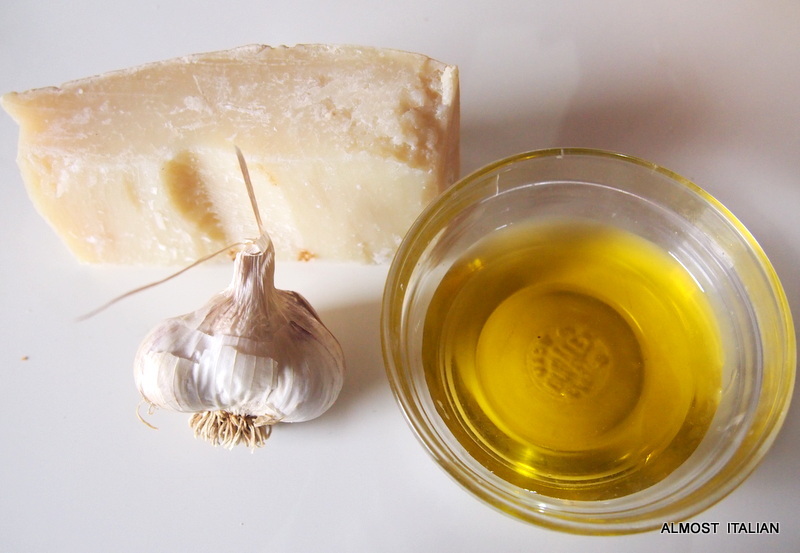 This old trick works so well with many wintery pasta dishes. You may have heard of Kevin McCloud‘s drinking game. There are a few versions but a simplified version goes like this. Whenever Kevin mentions the following words in his programme, Grand Designs, bespoke, artisan, the build, integrity, take a big sip. Extra drinking points are acquired if he says it in French or Italian. In the world of food, I propose a board game: the rules are similar, you score a drink when you read or hear the following: artisan, (the Italian artigianale deserves two drinks), quinoa, kale, ancient grains, and gluten-free. There are probably more buzz words out there and I hope someone will let me know so my bored, no board game can expand. I have nothing against these foods per se, but I am tiring of their takeover. Normal, sensible eating is now dominated by these faddish foods. Why has barley become an ancient grain? Or brown rice? 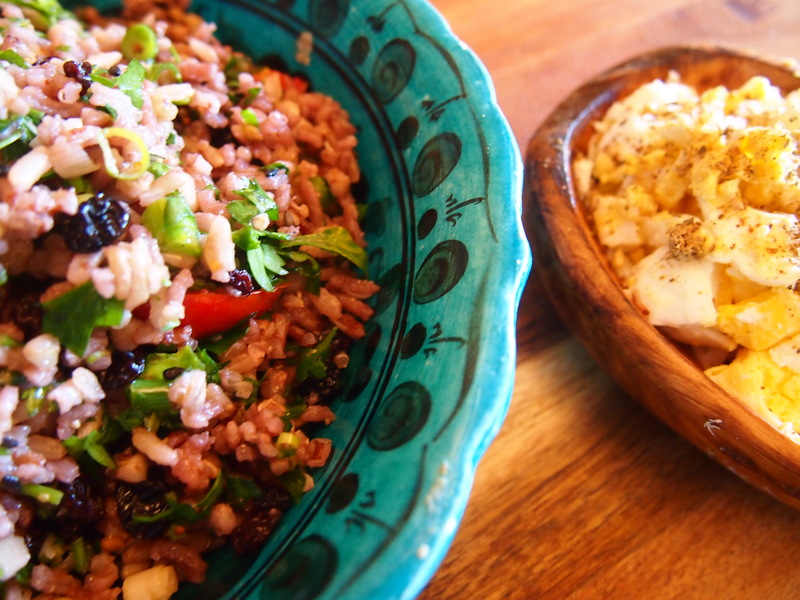 Farro has been used in Northern Italy forever. As for quinoa, it’s overrated and tasteless and has an unpleasant texture. Kale? 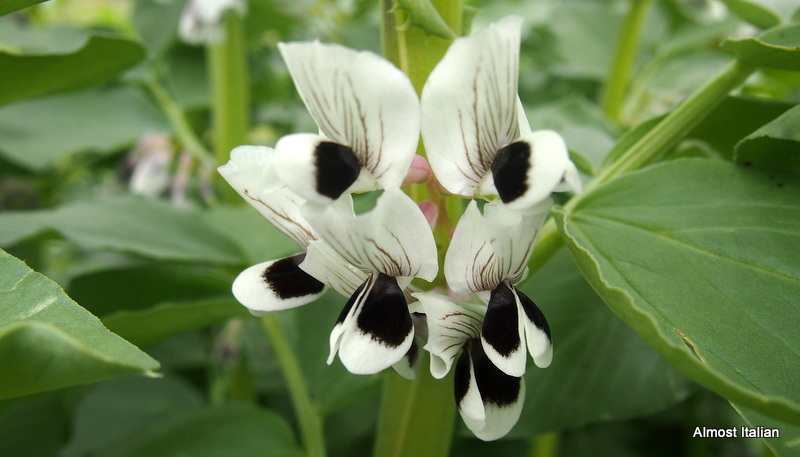 A common enough plant in my veggie garden which enhances a good minestrone or risotto. But kale chips, kale smoothies? 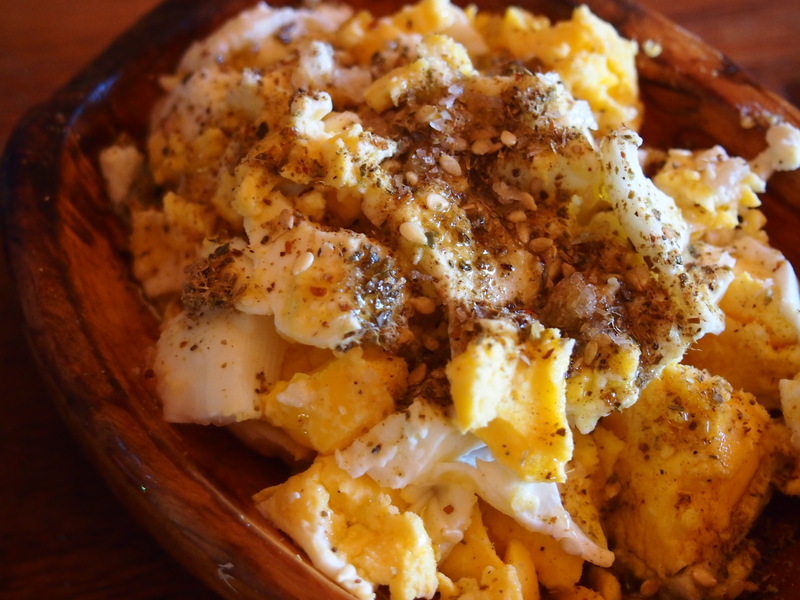 Kale and eggs for breakfast? National Kale Day? Gluten- free products are important for celiacs, but now every normal non gluten free product carries this selling tag: gluten-free jam, gluten-free eggs, gluten- free tomatoes – the marketing departments are having a field day with labelling for the naive and gullible. Nothing like a good rant after cleaning out the pantry – an onerous and tedious job, involving small flying creatures and much waste. 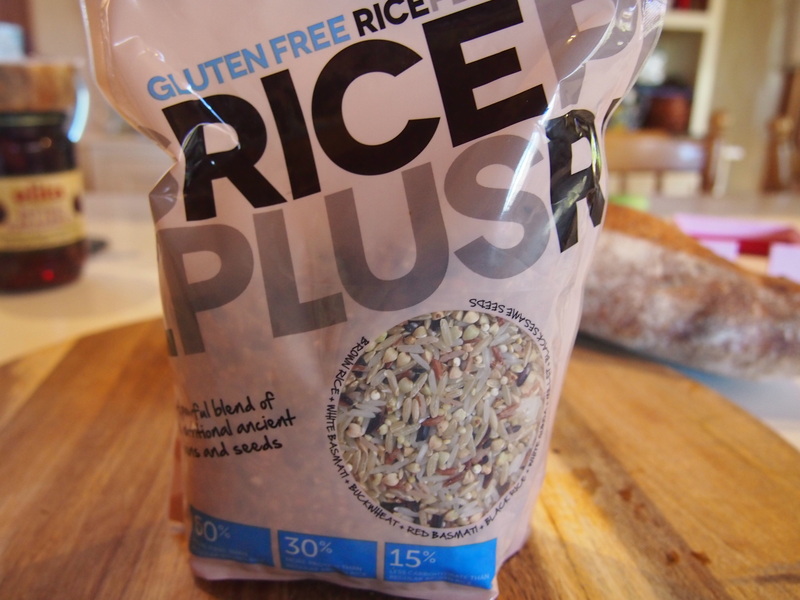 Whilst there, I found a packet of unopened “Ancient Grains” bought on a whim at some stage The packet is labelled, in capitals, ‘gluten- free rice plus‘ and contains a ‘powerful blend of rice, nutritional ancient grains and seeds which includes brown rice long grain, white basmati, red basmati, buckwheat, white quinoa, and millet, and black sesame seeds. 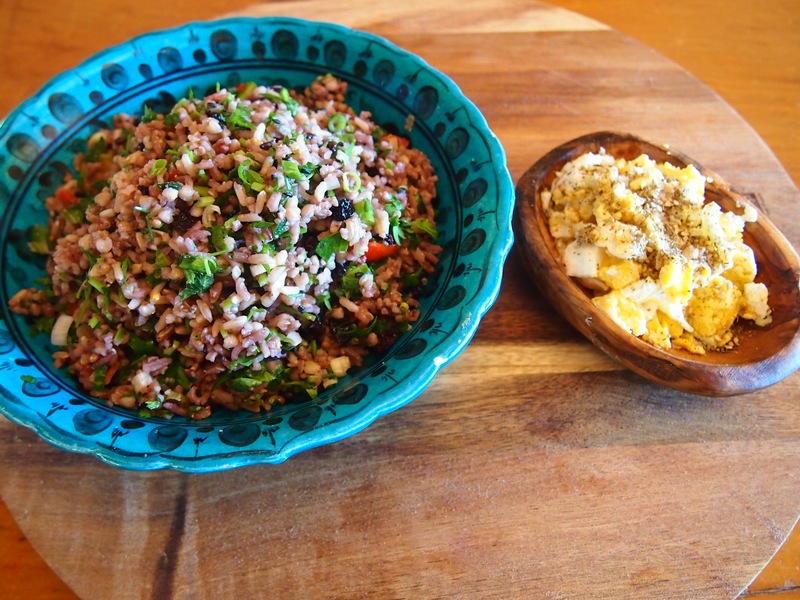 Putting aside my cynical self, I whipped up a tasty tabouleh, adapting the recipe from the back of the packet. I served it with a little side of chopped boiled eggs with Dukkah. All Gluten-free, and not like chook food at all!! some small tomatoes, chopped, preferably ‘heirloom’ ( whoops, another buzz word ). When the rice blend has cooled, add the other ingredients to the bowl, and let them sit for a bit to absorb the dressing. The original recipe called for far too much parsley and used dried cranberries, which I find too sweet. Serves two as a big lunch or a side salad for four or more. Verdict? I liked it more than a regular Tabouleh and was pleasantly surprised.